Then I began to think about how incredible it is that so many people all over the world are talking about the exact same thing, at pretty much the same time. Sports or better yet, competition bringing people together and headlining the conversation on a global level. There could be so many other things the world could be talking about or rather fighting about (I am not going to even get into my thoughts on the hypocrisy of Bush and his thoughts on Russia and Georgia). However, this is something in a positive realm which the world is embracing. 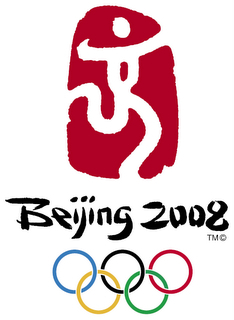 The Olympics 2008 is something the world is in need of. I liken it to an adrenaline boost in the arm. If you have ever seen Mission Impossible 3, where the female agent who dies in the helicopter, has the boost beforehand, this is the kind of thing I am talking about. I hope this will help heal some foreign and domestic relations. You never know huh? I mean it could happen, right?